Established in 1989 to provide Hire & Sales of Small Plant, Power Tools & Equipment, Construct-Equip has grown and developed through profit reinvestment and excellent staff commitment to provide quality safe equipment. This remains and will always be our main goal. While maintaining core objectives and expanding our range of ‘PLANT & TOOLS’ by the addition of some Larger Plant, Survey, Detection and Safety Equipment Construct-Equip has established two specialist divisions, ‘HOIST & ACCESS’ and ‘FLOOR CLEANING EQUIPMENT’, with these additional product ranges and our extensive knowledge in both fields it has allowed expansion into new exciting market sectors. Construct-Equip now has the most advanced and comprehensive range of professional equipment available from a private independent hirer, throughout the Midlands. Independence is the key to Construct-Equip’s continual growth, able to meet clients immediate demands and requests for new innovations, products and services. Due to the on-going advancement of technology and innovations, new products are continually being added to our range. 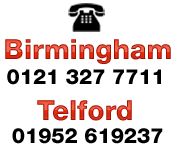 Therefore, should you require equipment or advice on a product that cannot be found here please contact us. Construct-Equip welcomes trade accounts, subject to successful application and credit worthiness, however, most leading credit/debit cards are welcomed and taken as an acceptable form of deposit and payment.